Lower Lonsdale’s newest luxury North Vancouver townhome development at Orchard Terrace townhouses offers a total of only nine boutique homes for sale. These North Vancouver Orchard Terrace townhomes feature three bedrooms and three or four bathrooms depending on the floor plan in addition to a recreation/media room. The Lower Lonsdale townhomes for sale all have three levels/floors, which is ideal for couples and growing families. Some of the incredible features here at the Lower Lonsdale Orchard Terrace North Vancouver townhomes include such things as granite countertops, maple cabinetry in the kitchen and beautiful engineered hardwood floors. Some other interior features include large windows, lots of natural lighting and radiant heating. There is a sprinkler system in addition to secured underground parking for every home at the North Vancouver Orchard Terrace Lower Lonsdale townhomes for sale. Other standards include gas fireplaces, loft style areas for computer niches and storage, large decks and entertainment space in addition to beautiful and striking curb appeal that is timeless and contemporary. All homebuyers will get the 2-5-10 Year Home Waranty on their new Orchard Terrace Lower Lonsdale townhouse for sale. Best of all, if you contact the sales team now, there is still time to customize your new North Vancouver home. Currently in construction/design phase, you can also view these homes now by contacting Norm. The new Orchard Terrace townhomes are located at 215 East 4th Street, North Vancouver, BC. The presale price for these incredible Lower Lonsdale townhomes for sale are priced from $724,900 plus GST. Beat the HST and save 7% on your purchase here! The newest Lower Lonsdale North Vancouver townhouse development is now here! A boutique collection of only 9 new North Vancouver townhouses are presented at the Orchard Terrace community. 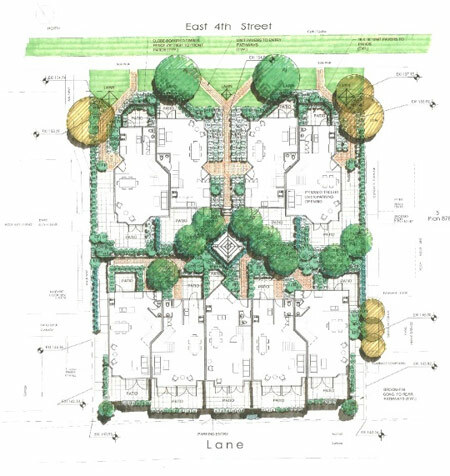 The large floor plans and great location are two distinguishing features for this project, and all of the homes have three levels, a recreation room/media room as well as three bedrooms. The variety of floor plans range from three to four bathrooms as well. 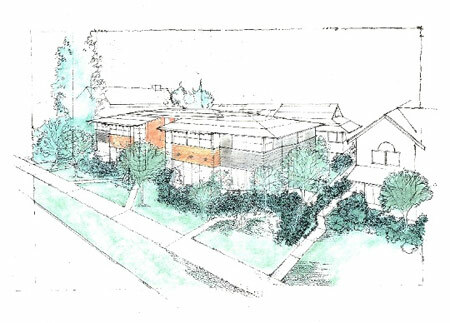 All of the Orchard Terrace North Vancouver townhouses for sale will feature the 2-5-10 home warranty and features gas fireplaces, loft areas, large decks/outdoor living spaces and underground parking that is secure. Not only that, but the interiors of these new North Vancouver townhouses will feature granite counter tops and maple cabinetry that is custom built for Orchard Terrace townhomes. The price point for these new homes is also very affordable considering the size and finishing, and start from $724,900 plus tax. The expected occupancy date for the new Orchard Terrace North Vancouver townhouses is this summer 2010. More information is expected to be released soon for these nine new Lower Lonsdale townhouses, so if you are looking for a family executive North Shore townhome for sale, please do not hesitate to come back and visit us often to watch for news updates, release of floorplans and pricing associated with Orchard Terrace. If you would like an advanced sneak peak of the Orchard Terrace Lower Lonsdale townhouses for sale, please contact Norm for more details about the developer, location, finishes and starting price point. Now Selling! Here are the Cascade Estates North Vancouver lots for sale. With a new subdivision of only 9 homesites, these North Vancouver lots at Cascade Estates are nearing sell-out with only four opportunities remainng in a centrally located enclave within the heart of Central Lonsdale. The new North Vancouver Cascade Estates offesr good sized building lots and homeistess of approximately six thousand square feet in size. This quiet family cul-de-sac is deceiving in its location because the developer has thoughtfully considered the proximity to the Upper Levels Highway and spend over one hundred thousand dollars on a sound barrier and berm. Also, the Cascade Estates North Vancouver lots for sale have been carefully situated to maximize the green space to the West and South of the real estate development. After walking the site, you will be pleasantly surprised! Join the sales team on site at the Cascade Estates North Vancouver homesites and lots for sale for more information. Located at 1301 West 24th Street, North Vancouver, homebuyers can now build their dream custom home at the Cascade Estates with the choice of their builder and developer. The Cascade Estates Lots in Central Lonsdale North Van are priced from just $499,000 today! Close to Carson Graham School as well as Westview Shopping Centre.